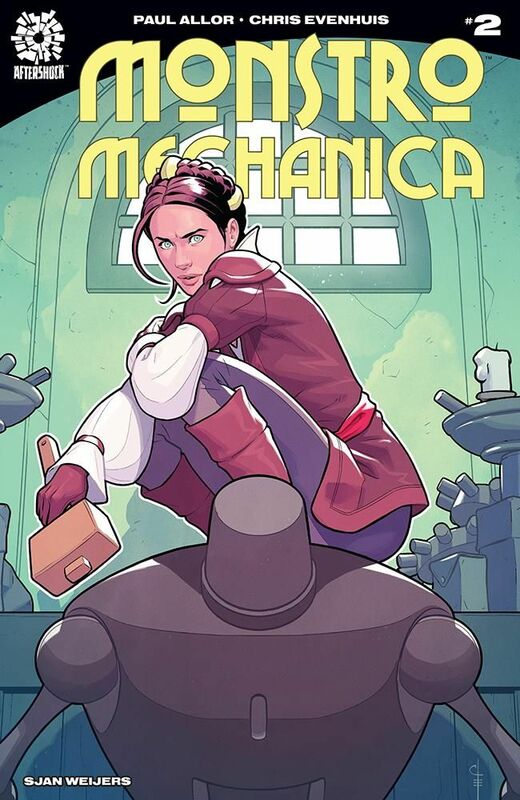 While Leonardo supervises the implementation of his siege engines, Isabel takes his automaton inside Volterra to rescue the city's praetor. 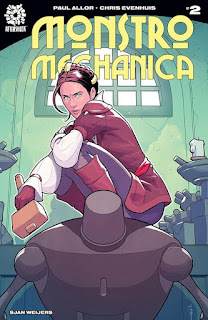 Monstro Mechanica is exactly my kind of comic: a period setting, a blend of real-life history and speculative fiction, and a robot with artificial intelligence. 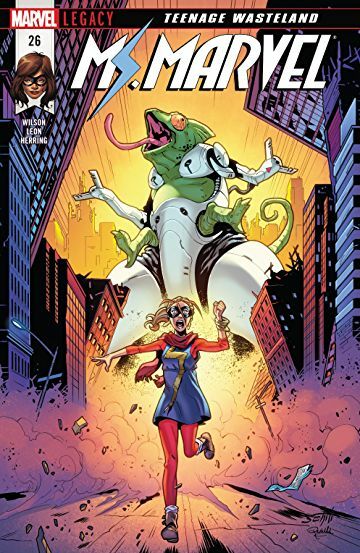 It's got a great sense of setting and tone, and is yet another book in the long and constantly growing list of "comics that, in the mid-90s, would have published by DC Vertigo". Paul Allor's script is simple but strong, and he has presented a very fresh and more youthful take on some rather over-exposed historical characters like Machiavelli and Leonardo. That he makes his protagonist a spirited and aspiring young woman works very well, and provides a lot of dramatic material as she fights within an overtly patriarchal environment. Chris Evenhuis' artwork is clean, realistic and very sharply inked, and enhanced very well by Sjan Weijers' colours. Weijers uses a very simple palette, without much shading or too many colours, and that gives the book a very distinctive look. Monstro Mechanica #2. Aftershock. Written by Paul Allor. Art by Chris Evenhuis. Colours by Sjan Weijers. 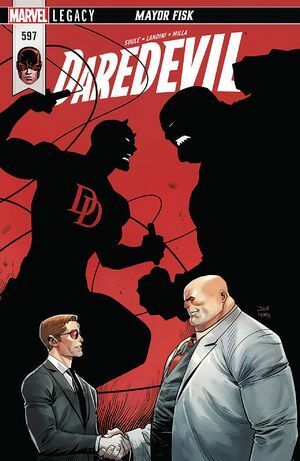 Under the cut: reviews of Daredevil, Mister Miracle, Ms Marvel, and Rocko's Modern Life. Marvel. Written by Charles Soule. Art by Stefano Landini. 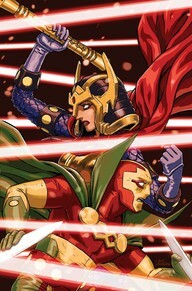 Colours by Matt Milla.